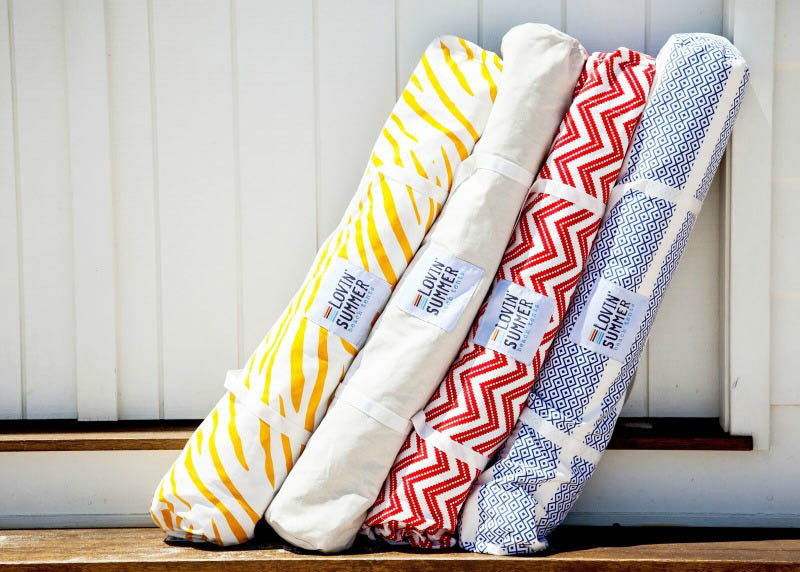 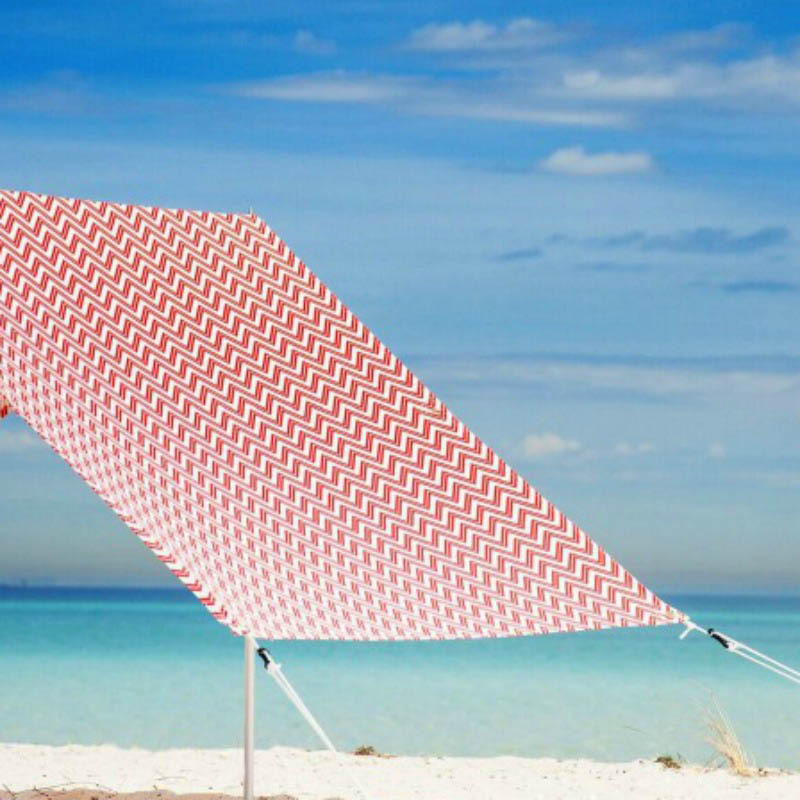 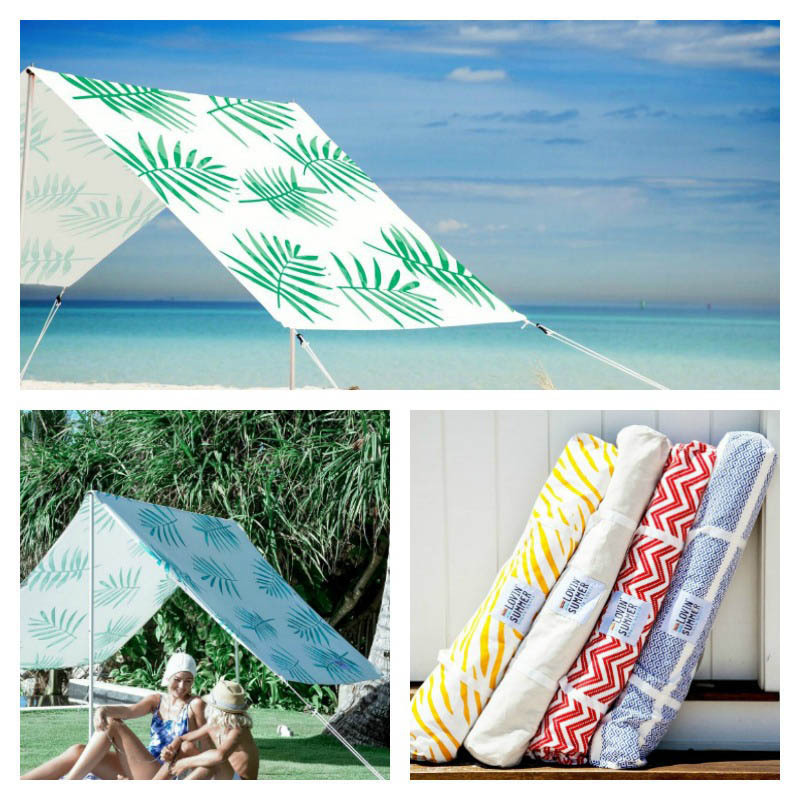 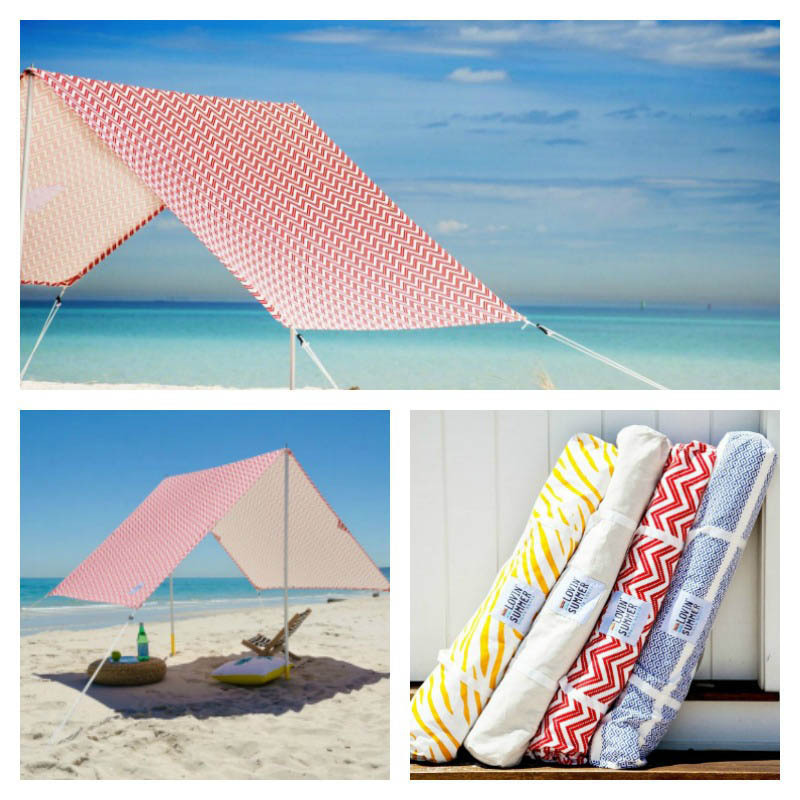 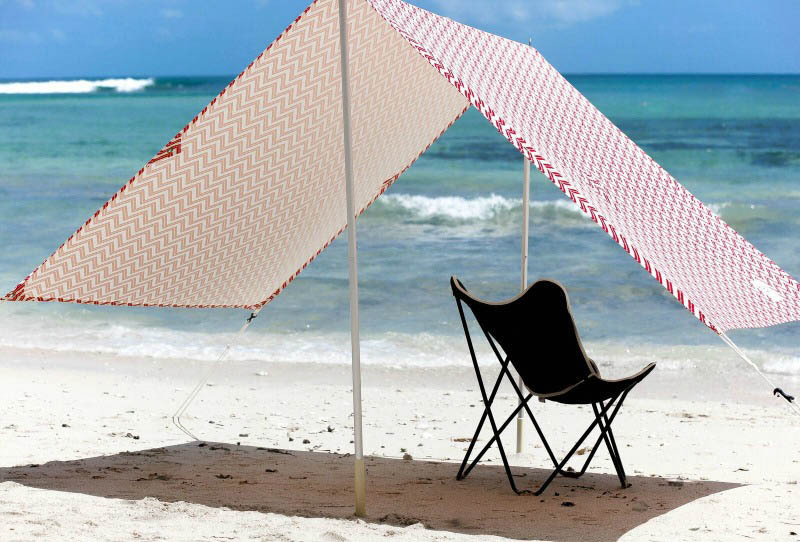 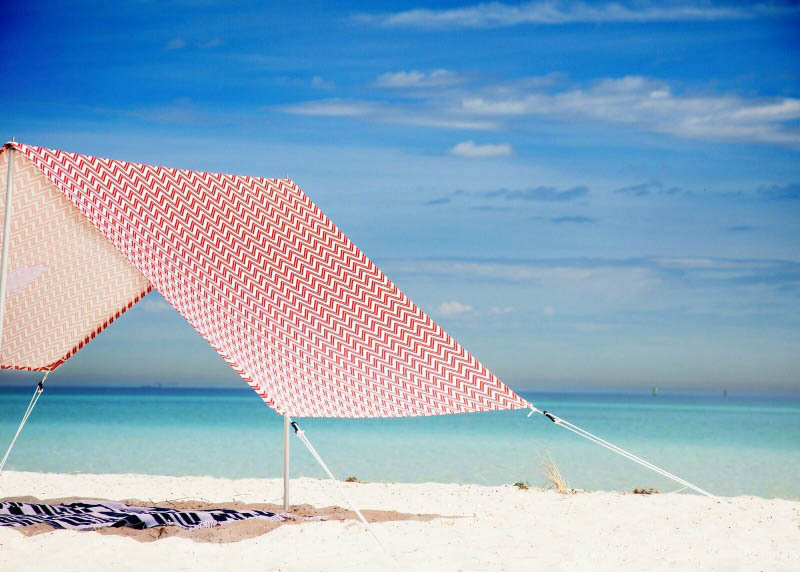 Stylish new Beach Shade Tents by Lovin' Summer are perfect at creating a cooler spot for hot balmy days on the beach, campsite, picnics in the park and grass poolside shade. 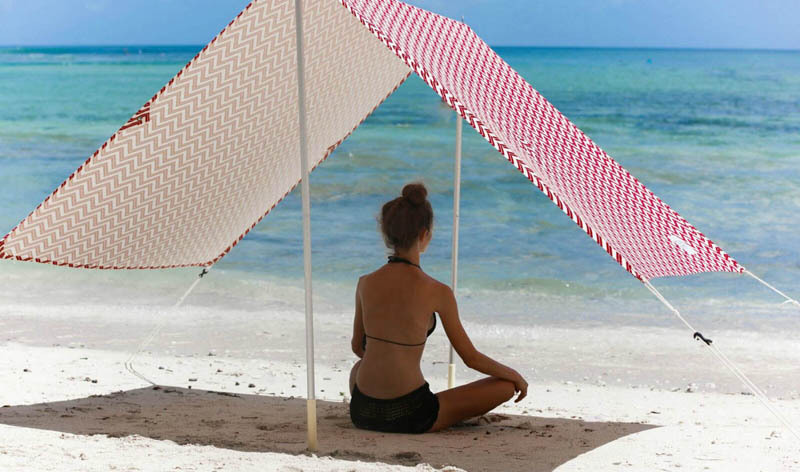 Quick and simple to erect easily by one person as all ropes are already connected to the lightweight aluminium poles, these shade tents allow a refreshing air flow through the shaded area unlike pop-up shelters. 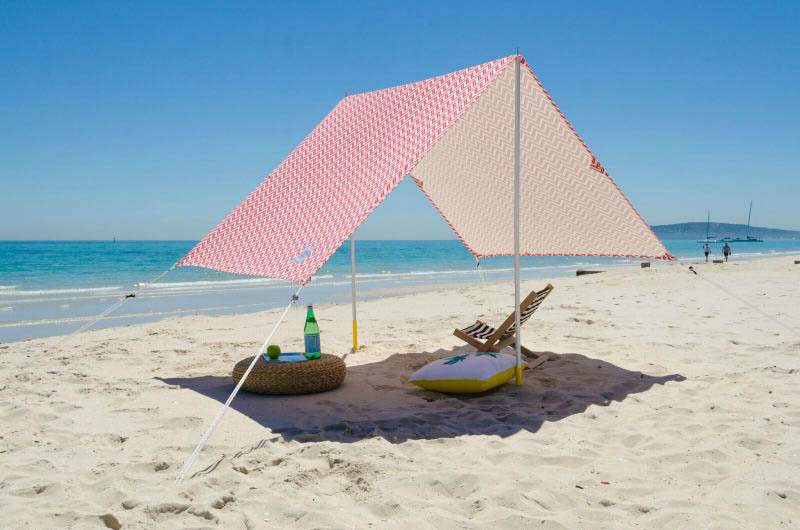 Providing 5.9m² of sun protection with a UPF 40 blocking more than 97.5% UV, Lovin' Summer Beach Shade Tents provide a little oasis for the whole family and are simple to carry anywhere in their shoulder strap bag. 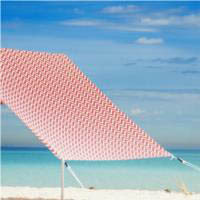 UPF 40 blocking more than 97.5% UV, working inconjunction with additional personal sun protection.